● Examine classified section: If you have written some classified ads earlier then without wasting time, have a look on it and collect information like how many have read and visited ad, how many tried to contact and what was the total amount involved in this. All these things will help you in identifying issues and most importantly also provide information regarding competitors and how market conditions will effect your posted advertisement. ● Go with appropriate category: If you really want to take business to new heights then you must post and write ads under correct category. You can even have a look at your competitors ad and the way of writing, this will give an idea that you can utilize in important areas. You can pinpoint business prospectus and give information related to business products and services. 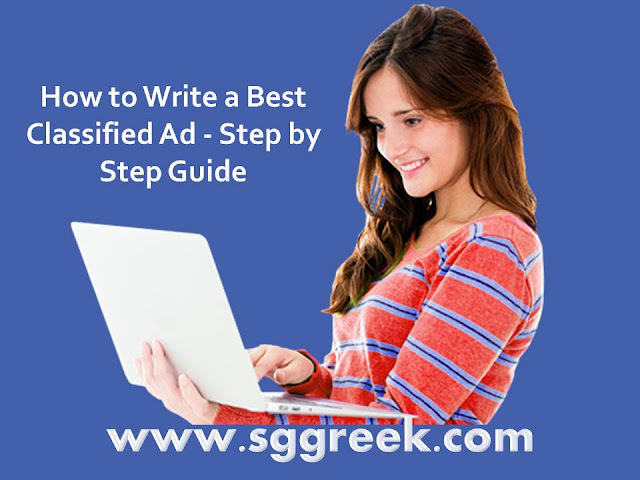 ● Write a powerful title or headline: A classified ad should always have powerful and appropriate title that suits content well. Being the most vital part of any classified ad it is must that you should invest some quality time in selecting title and always try to give a fresh title. Along with this, if your business is dealing in any branded product then you must give a suitable headline that will go perfect with the ad and also compliment it.